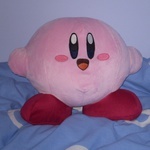 Manager of the WiKirby Discord server - making WiKirby great again! Helpers being back is an a-okay for me; I myself am fond of pretty much all of the helper characters in the entire series, so anything is fine with me. The fact that this comes out in 2018 just means to me that I will not need to get a Switch until then. Kirby for the Switch looks fun fun fun! I have also edited the title that it's confirmed. I also merged some of Keeby's consecutive posts together. I am excited to see ability mixing back, even though it is mostly Squeak Squad-style. I want to see what other combinations there will be. Edit: this thread has been moved to the Kirby games discussion board as I felt it was more appropriate. Good call there, Meggolor. I would have moved the thread to the Kirby games discussion board myself anyways. Looks pretty good. I'm glad I managed to snag a Switch when I did, I'll have even more to look forward to later on.